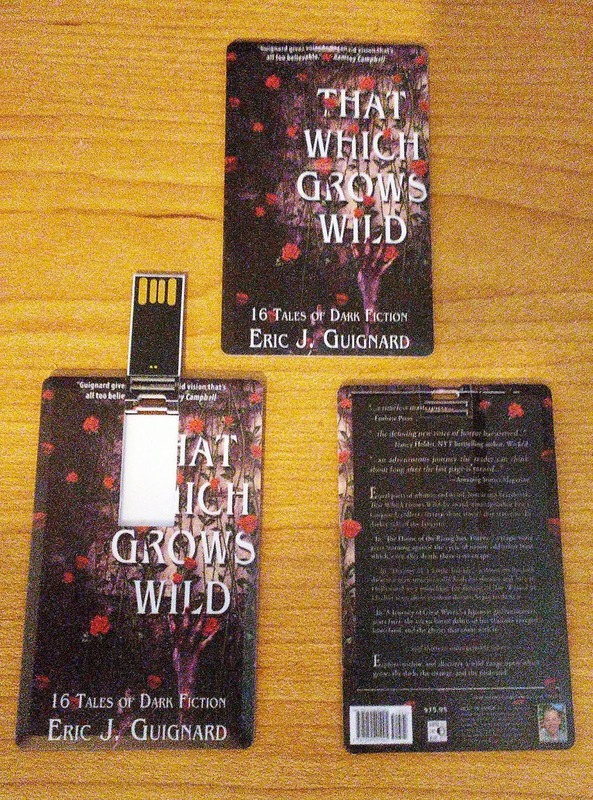 Thanks so much to “The Bible Of The Book Business” for this! 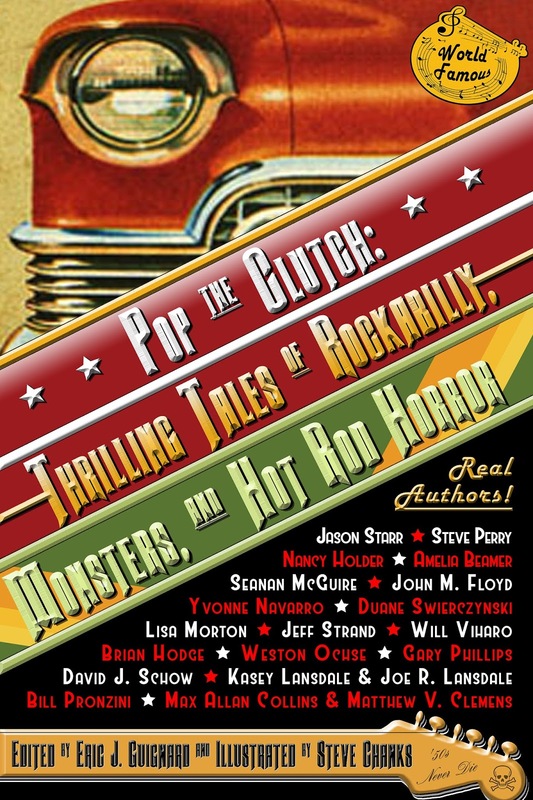 And special review highlights from PW for Kasey Lansdale and Joe R. Lansdale, Amelia Beamer, Lisa Morton, and Max Allan Collins and Matthew V. Clemens. Giveaways and Book Signing--This Sunday in Burbank, CA! 8 GB apiece, they look great, and work great. I’ll be giving them away FREE with signed copies of the latest anthology that I’m in: Birthing Monsters: Frankenstein's Cabinet of Curiosities and Cruelties. 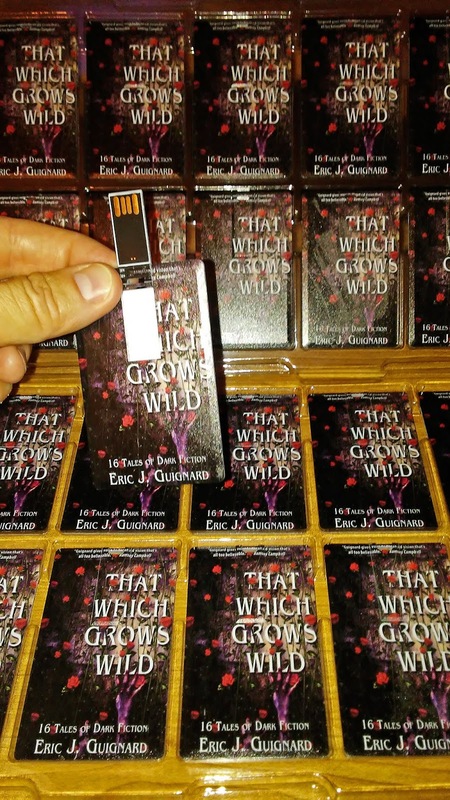 I’ll be signing THIS SUNDAY, October 28 at Dark Delicacies in Burbank, CA from 4:00 to 6:00 p.m.
Beautiful review of my debut fiction collection book! 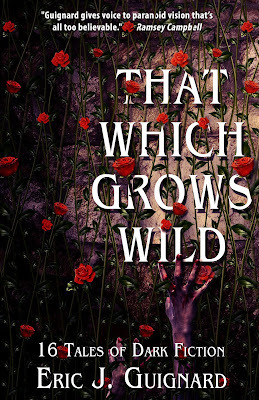 A beautiful review of my debut fiction collection book, THAT WHICH GROWS WILD (Cemetery Dance Publications and edited by Norman Prentiss). 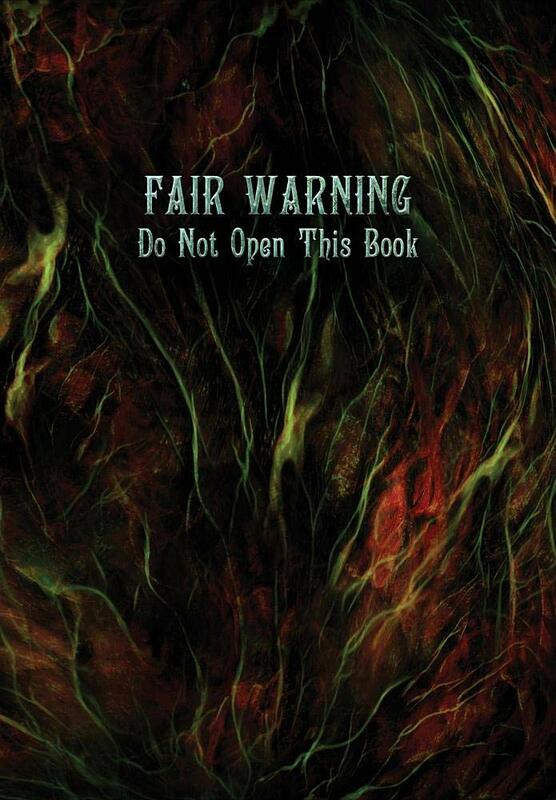 Thanks so much to reviewers everywhere in their time and thoughts in promoting and sharing work, and most especially in this case THANK YOU to Jeani Rector and The Horror Zine, who have tirelessly been publishing new fiction, books, and reviews for over a decade! 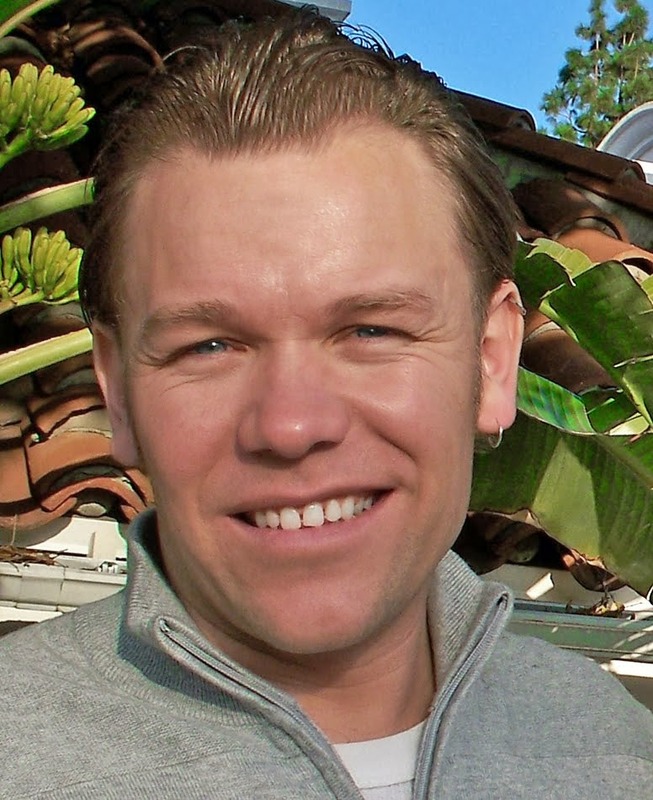 Great interview of ME (!) 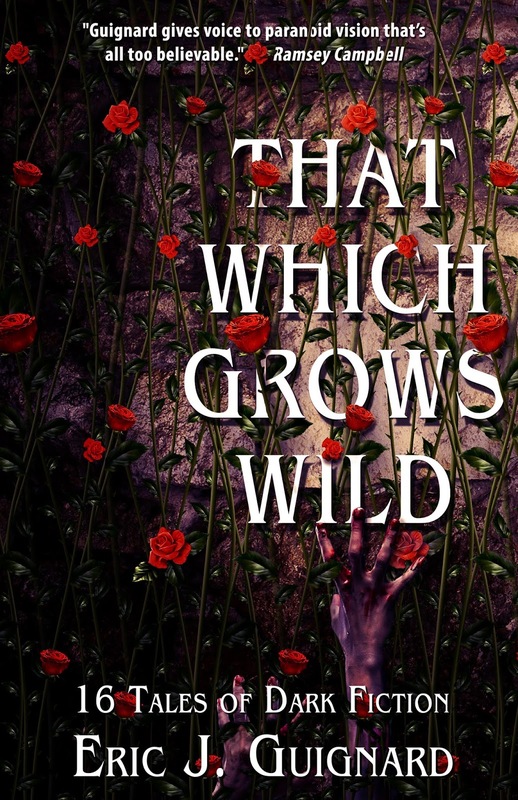 by Michele Brittany and Horror Writers Association as part of Halloween Haunts 2018. Thank you so much for letting me be part of this! 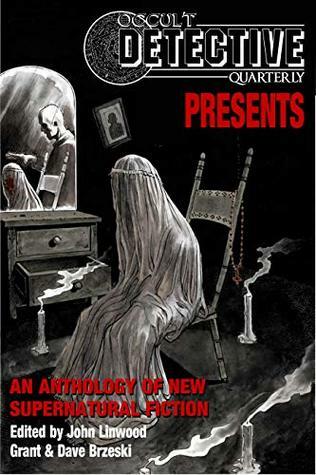 From the editors of OCCULT DETECTIVE QUARTERLY magazine comes a companion anthology for more and greater thrills and chills in the realm of occult detectives! These are stories that were too long for the mag, verging on novellas or novelettes each, and in this case, more is better. Having recently just read WEIRD DETECTIVES: RECENT INVESTIGATIONS anthology (edited by Paula Guran), I happened to be looking for a source of further such stories and OCCULT DETECTIVE QUARTERLY most definitely fits the bill. 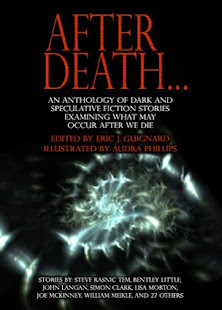 Including eight original fiction stories as well as a thoughtful in-depth 30+ page essay on the history of occult detectives, “Fighters of Fear” by Mike Ashley, and all magnificently illustrated by a selection of extremely talented artists, this anthology is a treat for fans of paranormal thrillers and crime fiction alike. All of the stories in this book were good in their own ways, although a few stood out to me most, either to my own tastes or by the prose or subject matter. 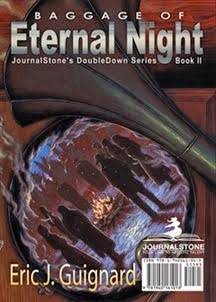 Notably, Willie Meikle and Edward M. Erdelac are both treasures of short story talent and nailed it with their tales. I’ve never read a Meikle story I didn’t like, and this one kept that stat going with “Farside,” the case of a stalker who comes by way of mirrors. The prize of the anthology however has to go to Ed Erdelac with “Conquer Comes Correct” in which a Kung Fu Vietnam Veteran takes down a practitioner of black magic. Also most enjoyable was “Lazarus Come Forth!” by Robert Pohle a mournful tale contrasting religion and magic, set in ancient Palestine; and “A Shadow Against the Stars” by Charles R. Rutledge, wherein accompanied by a 12,000-year-old barbarian, Det. Jennifer Grail has her work cut out for her as she investigates a case where bodies mysteriously fall from the sky. A great read throughout and well recommended. Description: Original horror fiction with a strong sense of comedy, and most themes, subjects, and settings are welcome but standard genre tropes are definitely discouraged (vampires, zombies, werewolves, etc.). The comedic aspect can be goofy and slapstick or black and morbid, just as long as there are equal amounts of darkness and humor..
1. A future with a hopeful ending. 2. A future in which humane values triumph or are strongly demonstrated. 3. A future where the protagonists struggle to improve life for others as well as themselves. Description: Essays, investigations, and short fiction: Perhaps death has become a thing of the past—for some humans, at least. Maybe a newly sentient AI must decide whether to program some form of death into its universe. Whatever the premise, we’re looking for creative takes on what it means for an object or entity to cease to be. We’re most interested in futuristic and science fiction-infused tales; no gore or straight horror, please. NOTE: Assume VERY low acceptance rate on this compared to amount of interest/ submissions. Description: Science fiction or fantasy stories that contain a portal opening up between two different worlds and the consequences that come from that portal. Description: Stories where the author explores what the phrase “temporally deactivated” could mean with regards to a person, place, or thing. Stories featuring more interesting takes on the twisting of time and how it is integrated into the story will receive more attention than those with more typical twisted time stories. Description: Alternate history stories where the divergence from our timeline comes from some kind of peaceful change to our past. It must explore the consequences of this divergence, not simply introduce the divergence. 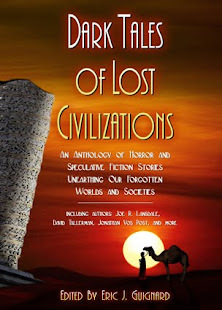 Stories featuring more interesting historical settings and twists on the consequences of the peaceful divergence from our timeline will receive more attention than those with more standard changes to the course of history. Description: Dark Science fiction, Horror, and Slipstream. Think of the Canyons as a literary Twilight Zone, Night Gallery, or Outer Limits—it's Netflix's Black Mirror. Amazon Giveaway for A WORLD OF HORROR! My #AmazonGiveaway ! 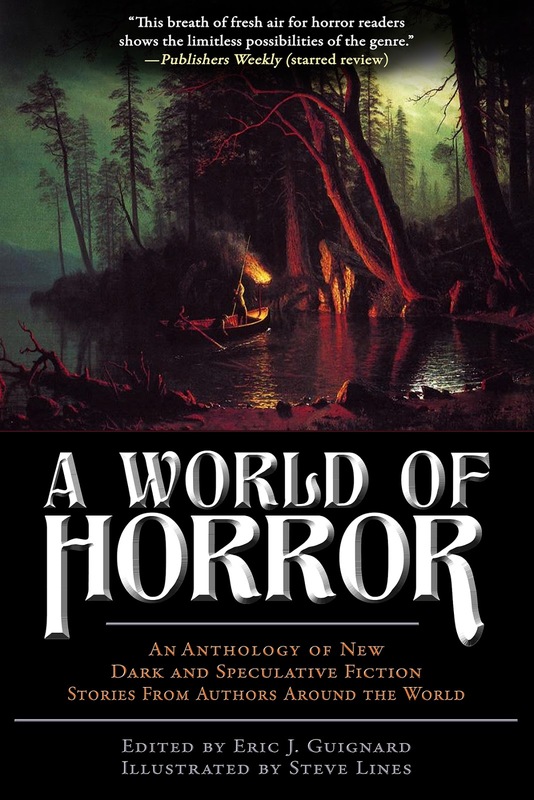 Enter for a chance to win a hardback edition of this critically acclaimed new release anthology: A WORLD OF HORROR. NO PURCHASE NECESSARY. Ends the earlier of Oct 10, 2018 11:59 PM PDT, or when all prizes are claimed.